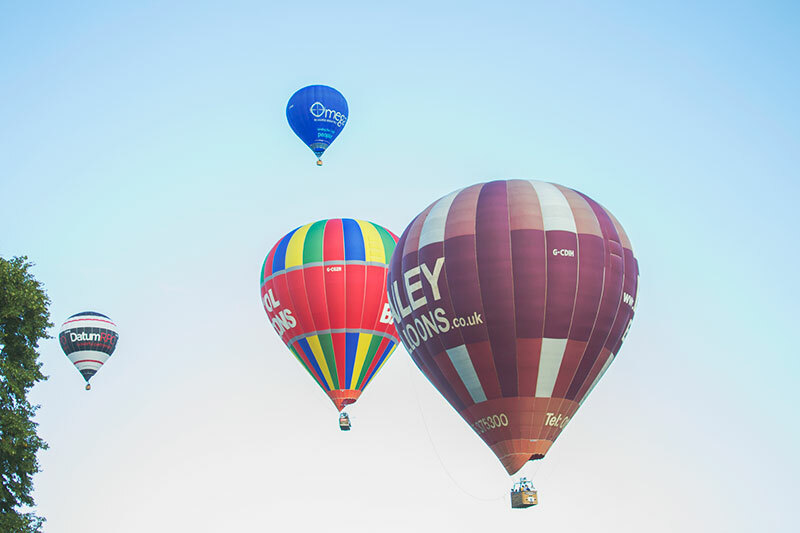 A couple of years ago we went to Bristol Hot Air Balloon Fiesta for the first time and loved it. It’s run once a year, in August, on the Ashton Court Estate in Bristol and is completely free. Well apart from parking but if you book that in advance then it’s only £6. We didn’t make it last year as the weather wasn’t very good so I was really looking forward to this one especially as Tiger is old enough to enjoy it now. He was just a baby last time. We decided to go on the Thursday this year as we were away at a car show that weekend and although not nearly as many hot air balloons went up as when we went on the Saturday there were still enough for it to be amazing to watch and the benefits of it not being so busy meant I would definitely choose that day to go again. When we went on a Saturday before it was heaving and there was hardly anywhere to sit down but as you can see in the photo below there was loads of space this time which meant the kids could run around playing while we waited for it to start. I actually read they had stopped letting people in at the weekend as it was so busy! We headed up after lunch and took lots of picnic food with us then met up with some of our friends, we went to school together and her little girl is only a month younger than Tiger so it’s nice for them to play together. The hot air balloons were supposed to take off at 6pm but for some reason it was all really delayed and I think it was about 7.30pm by the time it started. The sun was shining though and the kids were happy enough playing with grass for the entire time we were waiting although we had started to get a bit bored of waiting. When they do all start inflating it all happens pretty quickly and within an hour we were heading back to our car. 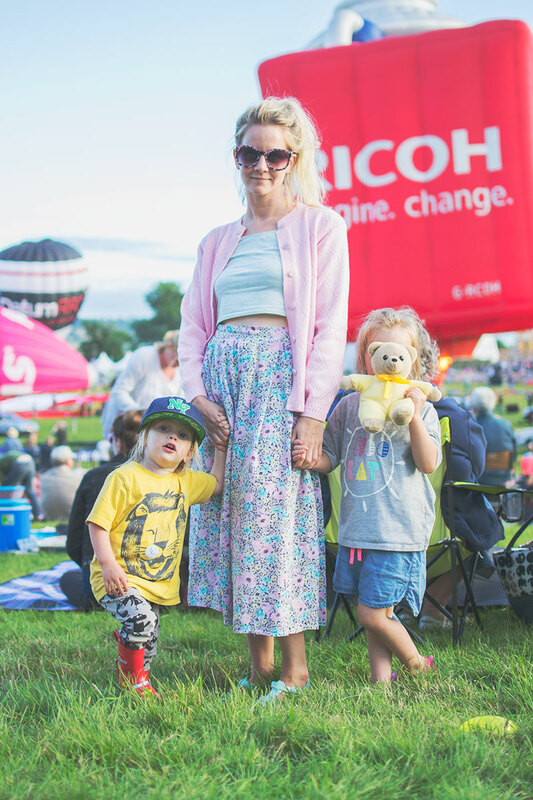 Seeing so many balloons take off at once really is a sight worth seeing though and they had a Minion balloon this year which was a massive hit with the kids, especially Tiger who is a huge Minion fan. When you walk back to the car park you have to go through the huge fairground bit which wasn’t so much fun!! We were saying how hellish it would be there on the Friday night as they had so many rides and it was really busy. Cherry loved it though and was crying that she didn’t want to leave whilst dancing to the music the rides were blaring out! I know a few of my friends didn’t like the idea of being in the actual event due to it being so busy and I can see where they are coming from. The good thing about the balloons is that you can see them going all across the city so you can actually be anywhere and still enjoy it. There are a few places around Clifton where you can go and sit in a quieter field to watch them so if you really hated the idea of the crowds then that’s an idea. They go up twice a day at 6am and 6pm so the other option is to get there for the early morning flight, not sure how busy it would be there but I’d imagine not very! If you live near Bristol it really is worth going though, the kids loved it so much. And here is a little video I made of our afternoon there..